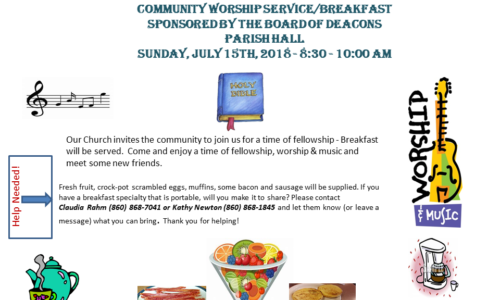 Our Church invites the community to join us for a time of fellowship – Breakfast will be served. Come and enjoy a time of fellowship, worship and music and meet some new friends. Please remember to invite your family and friends.